Graham Anthony Hull who featured in Skin Britain. 'Image by Channel 4. A man has appeared in court charged with burglary following a police investigation after the programme Skint Britain aired on TV. Graham Anthony Hull, 37, from Shakespeare Avenue, in Hartlepool, has been charged with burglary and appeared at Teesside Magistrates Court today. 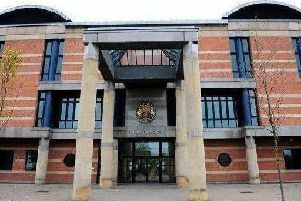 He was remanded in custody and his case will be heard at Teesside Crown Court on Monday, May 13. Cleveland Police say the burglary charge follows an investigation carried out after the programme Skint Britain. A force spokeswoman said: "This burglary charge follows an investigation carried out after the programme Skint Britain aired on Channel 4." The three-part series from Channel 4 aired back in February showing how Hartlepool had been affected by the introduction of the Governments new benefit system, Universal Credit. The system which is aimed at getting people on benefits back to work, replaces six other benefits with a single monthly payment for people out of work or on a low income. Hull, who appeared on the program named simply as 'Graham', was shown to one of a number of people in the town struggling to survive on the system. 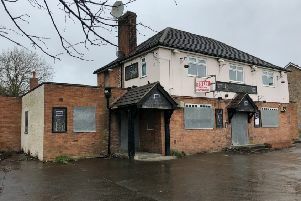 During the series Cleveland Police said they would assess the show's footage as to whether it will help them with any live investigations or whether new investigations will be launched as a result of alleged criminal activity that was shown. The force said as part of this they had been in contact with the TV production company to request both the footage which was aired and film which did not end up being used in the programmes so they could investigate any offences which may be identified. The said that this work is on-going.